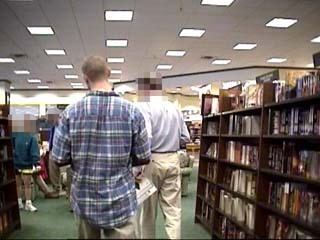 ORN director Flip Benham approaches Barnes and Noble customers inside store, and is later escorted out. 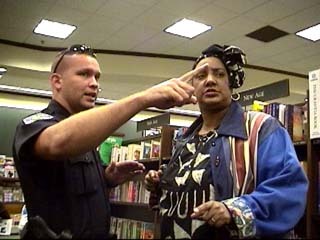 ORN participant Barbara Bell is confronted by West Melbourne police officer. 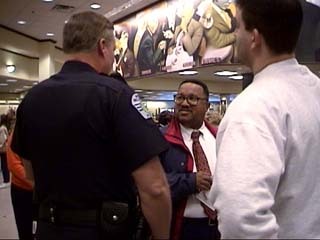 Another Operation Rescue participant is escorted out of the store. 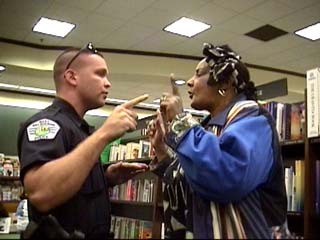 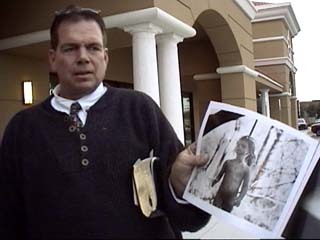 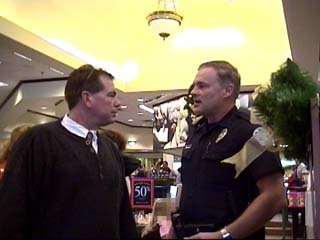 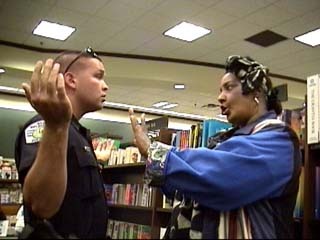 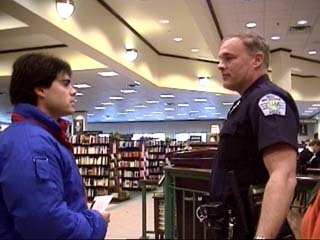 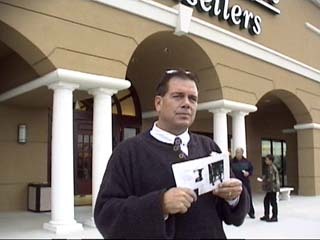 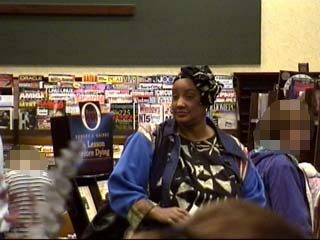 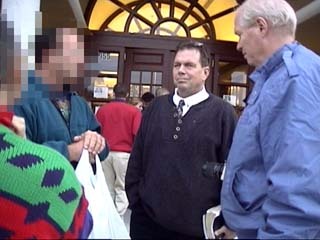 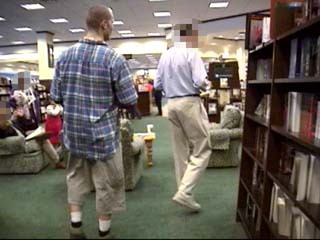 In this sequence a Barnes and Noble customer is pursued through the store after multiple demands that Operation Rescue participant Scott Heldreth stop. 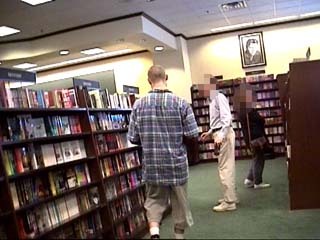 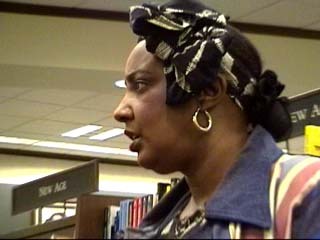 We also witnessed numerous OR participants inserting their literature into books and reshelving them.